Although WordPress is a secure platform, you’re never truly safe from people with malicious intent. With WordPress’ star on the rise, it has become a target for hackers, so upping your security game is now more important than ever before. But given the vast array of available plugins, choosing the best ones to protect your site is a tough task. While some plugins only focus on one aspect of security, there are many others that offer features to protect against brute-force attacks, malware, and much more. To find the right solutions for you, it’s important to have a solid understanding of how your website can be attacked, and what measures you already have in place to prevent the worst from happening. In this article, you’ll learn the importance of security and how it relates to WordPress. Then we’ll look at how DreamHost can help protect your site, and move on to explain what you should look for in a WordPress security plugin. Finally, we’ll show you 13 of the best security plugins available, and discuss why you should consider them. Let’s get started! In a nutshell, securing your website means using a number of techniques and tools to ensure your data cannot be accessed and/or manipulated by any ‘undesirables’ without the correct permissions. Forgoing website security will eventually hit you where it hurts — in the pocket. It’s not just large organizations that are at risk either. Small businesses are targeted just as much as larger ones, meaning you may need to step up your game in order to keep your website safe. A single bot. An automated program that searches for and exploits known vulnerabilities. A person. Simply put, this is a person sitting behind a keyboard manually attacking a website. It’s a slow yet thorough process, which is why this method is used to attack high-value sites. Botnets. A group of machines running programs that are coordinated from a central location. Botnets can attack a vast number of sites simultaneously. To host illicit content. Hackers can use your site to host their own content, or redirect visitors to a site hosting illicit content. To steal your website’s data. Everything from visitors’ email addresses to their credit card details can be of value to hackers. It’s always good to have contingencies in place, especially if you have invested considerable time and resources into developing your website. A secure Content Management System (CMS) such as WordPress is a good place to start. Although WordPress is a secure platform suitable for creating scalable websites, it’s not infallible. Given that WordPress now powers more than 28 percent of the web, it’s become a big target for hackers. WordPress’ open-source nature means there are literally thousands of eyes on the ‘core’ code. While you may think this could be problematic, in reality it means that any vulnerabilities are found and fixed almost immediately. The consistent release schedule often features several bug fixes, and severe security issues are normally not announced until they’re fixed. What’s more, WordPress offers some simple built-in solutions out of the box to help with security (we’ll discuss some of those later). In short, WordPress is a superb option when it comes to choosing a platform that will keep your site safe. However, your site’s security does not begin and end with what CMS you choose; there is more to be done. Your first step is to regularly back up your WordPress site. While this won’t prevent an attack, it will help to get you back up and running quickly should the worst happen. While you can back up your site manually, there are a number of plugins (a couple are featured below) that can help make the job easier and more practical. The next step is to ensure that WordPress ‘core’, along with all installed themes and plugins, are regularly updated. Outdated software can contain security vulnerabilities that hackers can exploit. If you’re hosting with DreamHost, then you’re covered, since we auto-update WordPress sites unless you opt out. If you often deal with customer data, making sure their data is encrypted is key. While it used to be a costly endeavor, companies such as Let’s Encrypt now offer SSL certificates for free, and many hosts, including DreamHost, are jumping onboard. The key here is to ensure there are no weak links in the chain. One potentially weak link could be your hosting provider. With that in mind, let’s take a moment to address the importance of your hosting in terms of protecting your site and explain what DreamHost does to ensure the safety of your site. DreamHost’s Director of Technology explains how we keep websites safe. 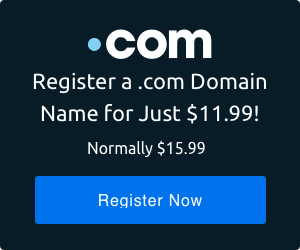 Free domain privacy so your personal information can’t be found online. Free SSL certificates for all users (and they’re easy to install). DreamHost offers all of these features, along with a number of others, such as SFTP and FTP protocols and HTTP/2 support on certain servers. We also offer a look at our current maintenance schedule on our dedicated server status blog. More importantly, all DreamHost servers have a built-in web application firewall that offers more protection than a security plugin ever could. It doesn’t scan files, but when it comes to a firewall, server-based options are always best. Of course, we’re proud of our whole package — not just security. We also offer a 97-day, money-back guarantee on shared hosting — so there’s nothing to lose! Having trouble with your current web host? Switch to DreamHost today! While you may understand that you need security plugins, choosing them is a different matter. As we mentioned above, some solutions offer a myriad of features to help combat hackers, while others focus on doing one thing well. It means you may need to mix and match in order to cover all of your bases. Downloads — Is the plugin widely-used? Updates — Has the plugin been recently updated and is it consistently updated? Reviews — Is the plugin well-received among its users? Support — Do the developers (or other users) offer support, should it be needed? We’ve done our best to feature only plugins that do well under scrutiny based on the above criteria. All that’s left for you to do is identify those plugins that best align with your requirements. So without further ado, let’s take a look at the list! Sucuri is a popular full-featured security plugin for WordPress. It offers a lot of great features, such as a comprehensive scanning module and easy-to-use monitoring tools. While it’s certainly a powerful plugin, it does lack a firewall. Some other plugins on this list offer this as standard, but with Sucuri, this is an additional service starting at $9.99 a month. What’s more, the plugin itself hasn’t been updated recently. While we’ve found no issues during testing, it is something to bear in mind given the emphasis on security. Stops hacks and DDoS attacks immediately. Provides help for accessing hacked websites. Jetpack was created by the WordPress developers at Automattic. It consists of a variety of modules, and although it isn’t a security plugin per se, a number of its features can help to protect your site. Among its security features, Jetpack offers a simple set-and-forget brute-force prevention module. What’s more, it also includes a 2FA module via WordPress.com. On premium plans, you can also take advantage of malware scanning and automatic site backups to help protect you further. One more perk: when you use Jetpack in conjunction with VaultPress, the Automattic team will automatically fix hacked code if they find it. DreamPress Plus and Advanced plans now include Jetpack Professional! Prevents brute-force attacks from botnets and hackers. Monitors your site for downtime and notifies you accordingly. Provides automatic backups on higher-tiered plans. Yet another full-featured and popular plugin, iThemes Security is arguably the most comprehensive option on this list. It could appeal to you if you’re completely new to WordPress or site security in general. iThemes Security is packed with features such as login URL obfuscation, a way to change your admin username, and a global dashboard restriction mode based on the time and date. In addition, the premium version includes advanced features such as malware scanning and a Google reCAPTCHA box. Lets you ban the IP addresses of known attackers from your site. Monitors your files to check for any unauthorized changes. Limits the number of login attempts allowed (which helps to prevent brute force attacks). WPS Hide Login is a simple plugin that changes the standard WordPress login URL to a custom one of your choosing. Hackers using bots will often seek out sites using the default URLs, attacking those they find. Therefore, hiding your login page offers an extra layer of protection. Provides an easy-to-use, simple interface. Prevents brute force attacks by letting you change the default login URL. BulletProof Security is another popular solution for protecting your website. It provides strong protection against SQL injections and other WordPress exploits. What’s more, this plugin features a firewall that prevents malicious script from executing before it reaches your WordPress core files. Much like other free plugins, there’s also a premium version that offers further features such as suspicious activity alerts, and greater protection against a wider range of threats. Enables you to perform full or partial database backups. Prevents the occurrence of brute-force attacks. Alerts you when suspected malicious activity affects your site. All in One WP Security & Firewall is a plugin that will be ideal for those who are less familiar with advanced security settings. It displays a simple meter on your dashboard that scores your site based on how secure it is. You can then use the wealth of features to shore up any security holes in your WordPress website. 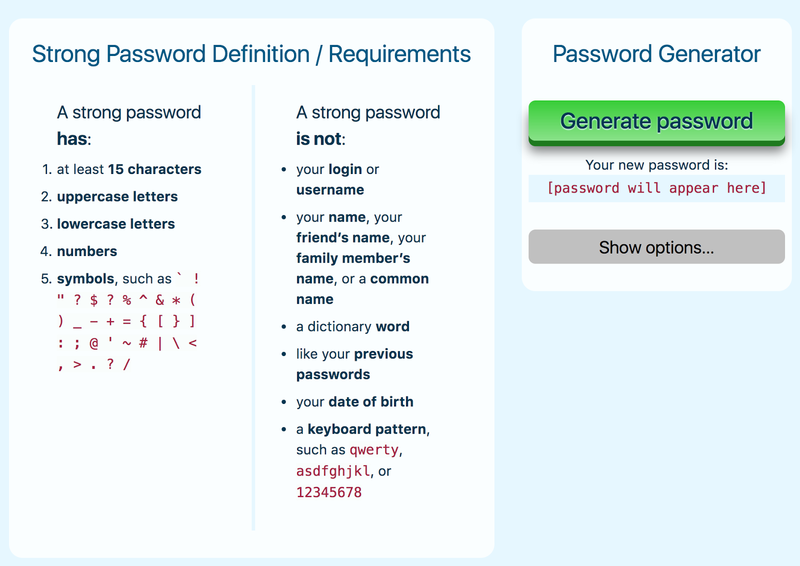 Features a password strength tool to ensure you and your visitors create strong passwords. Protects against brute force attacks with the Login Lockdown feature. Includes firewall protection against Cross-Site Scripting (XSS). Security Ninja is a lean security plugin that gives you almost full control over what security features to implement. The plugin’s main selling feature is the number of tests you can conduct — more than 50 with a single click. Unfortunately, the free version does not come equipped with a malware scanner. However, this can be purchased as part of Security Ninja’s premium tier. Apart from the malware scanner, you also get a WordPress core file scanner and an event logger, plus you can also schedule your scans. Runs more than 50 security tests, including brute-force attacks and password strength tests. Checks your site for vulnerabilities such as zero day attacks. Hides your WordPress version number to prevent hackers from exploiting vulnerabilities in older versions. Because some hackers search for old, vulnerable versions of WordPress, it’s important to keep yours up to date. However, with WP Hide & Security Enhancer, no one will even know you run a WordPress website! With this plugin activated, any WordPress-related identification within your HTML files will be removed or obfuscated without affecting your site’s functionality. It’s unique, but clearing your WordPress footprints could stop hackers from targeting your site, especially if you’re running older versions of the platform. Blocks access to WordPress’ default core files. 9. Security, Antivirus, Firewall — S.A.F. S.A.F. will scan all of your installed themes and plugins to ensure they’re not hiding malicious code, which is particularly useful given that many threats come from themes and plugins specifically. It also provides a number of detailed reports regarding what has (or hasn’t) been found on your system. Includes a live system monitor. Offers you daily, weekly, or monthly security reports. Includes a malware security scanner. Shield Security, like many others plugins on this list, acts as the first line of defence for your website. It only lets trusted, non-harmful traffic through, while blocking other malicious traffic. This plugin is ‘sandboxed’, which means it essentially protects itself in the case of an attack. What’s more, an access key is required to unlock the plugin before any changes can be made — a neat failsafe. It’s clear that the developers take your website’s security very seriously. Unfortunately, this plugin does not offer a malware scanner. The plugin’s main purpose is to prevent malicious threats to your WordPress site, rather than scanning for threats that are already present. However, considering the functionality included, it more than deserves a spot on this list. Blocks malicious URLs and their requests, along with automated spambot comments. Provides security against brute-force attacks (via 2FA). WordPress Security by CleanTalk is a simple plugin that mainly prevents brute-force attacks. If a user fails to log into WordPress, the Security Brute Force Firewall adds a short delay before you can try again. This stops constant attacks to the login screen. It’s a simple and effective way to keep many hackers at bay. What’s more, the plugin will check any generated security logs every hour for suspicious IPs. If they have more than ten attempts, WordPress Security by CleanTalk bans them from accessing your site for 24 hours. It’s a good way to save server resources and keep undesirables from your door. Includes a security firewall to filter access to your site by IP, networks, or countries. Provides a daily security report sent to your email. Sets a delay between login attempts to prevent brute-force attacks. UpdraftPlus enables you to back up your site and upload it to a number of cloud storage solutions such as Dropbox and Google Drive for safekeeping. While it offers no way to actually protect your site, backups are vital for any post-attack clean up. It’s a cinch to restore your site, and because you can keep backups in the cloud, they’re safe from any server breaches. Supports both manual and automatic scheduled backups. Provides encryption to your backups. Enables you to upload your backups to any number of cloud storage providers. Our final plugin handles a security feature we’ve already talked about: Two-Factor Authentication (2FA). This offers an additional layer of login protection by requiring login attempts to be verified via a trusted device. Google Authenticator is one of the best 2FA solutions currently available. The plugin is simple to use and is enabled via scanning a QR code using a mobile device. However, if you’re worried about getting locked out of your own website, don’t worry. You can generate one-time passcodes to enable temporary access and sort out any issues. Offers a way to log into your site if you aren’t able to utilize 2FA. Enables you to customize your own set of security questions on login. Unfortunately, your site will never be entirely safe, and online threats are continuously evolving to test your defences. However, there are many things you can do, including switching to a reliable web host and using a combination of the security plugins above, to fend off potential security threats and prevent any long-lasting damage. So tell us: which of these WordPress plugins interest you and why? Let us know in the comments section below! It is a handmade WAF that is sharp as knife.